Quator is a WordPress theme for single product pages. Quator supported WooCommerce and let you sell your goods with ease. 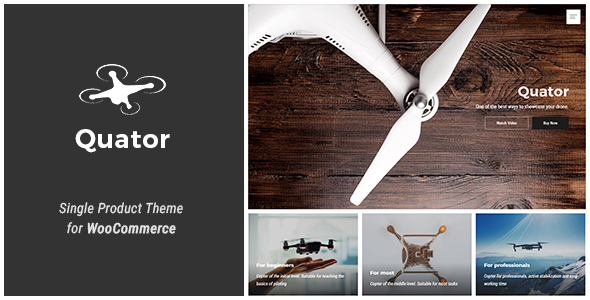 Theme comes with page builder Visual Composer.